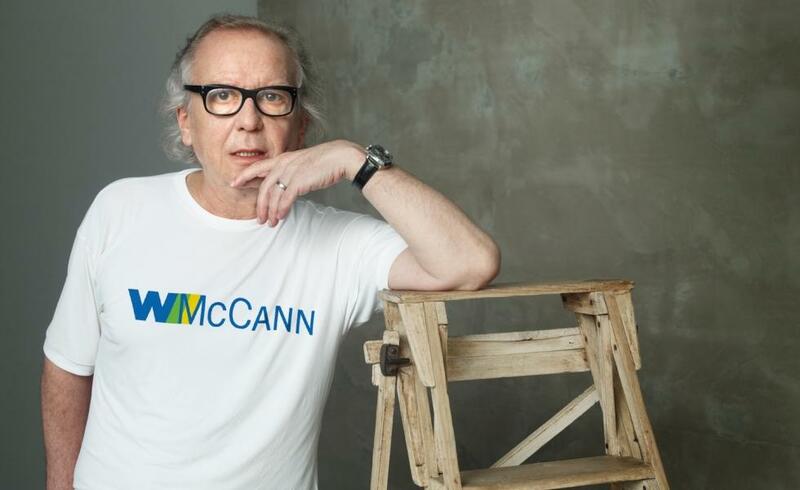 Global advertising icon Washington Olivetto, WMcCann Chairman and Industry Expert at the Berlin School of Creative Leadership, is one of the most awarded advertising men of all times – in just the Film category, he has won more than 50 Cannes Lions. In his recently-published seventh book, Achados & Roubadas, he shares a one-of-its-kind restaurant guide: Alongside his everyday travels, he pieced together a personal map of his favorite food places and culinary adventures around the globe. 1) Why a book on culinary adventures? I’ve always had the habit to write about restaurants that I visit in Brazil and in the world. I don’t claim to be a food critic because clearly I don’t have the capacity to be. I write more about the atmosphere, the attending, the architecture, histories and legends about each place. I write about food, including the food of my accompanying, and when I like, I strongly recommend it. If I don’t like it, I criticize humorously. These texts, that began like a trip diary that I used to write for my friends, most of them were written on airplanes to pass the time, turned into a monthly column at Gosto Magazine, the most famous Brazilian magazine about gastronomy, and certainly because of its humor, they receive many compliments in the letters to the editor section. Based on these facts, the editors of Panda Books invited me to turn my published texts in the magazine into a book. Achados & Roubadas is the second book I have published that compiles behavioral and gastronomical chronicles that were originally published in Gosto Magazine. 2) Would you share your top five locations with us? They are not my top five because my list of favorites is huge, but here is my top five in Brazil and other countries. Brazil: Rodeio in São Paulo; Satyricon in Rio de Janeiro; Yemanjá in Salvador, Bahia; Xapuri in Belo Horizonte, Minas Gerais; Koh Pee Pee in Porto Alegre, Rio Grande do Sul. Other countries: Peter Luger in New York; Bacon in Cap D’Antibes in South of France; Puny in Portofino, Italy; Sawada in Tokyo, Japan; Tantris in Munich, Germany. 3) This September, you received the Clio Lifetime Achievement Award for your outstanding career in the creative industries. What does creative leadership mean to you today? I believe that at any time and more and more, a great creative leader is the one who can show to those whom they lead that it is better to be a co-author of many brilliant things than to be a lonely author of something mediocre. 4) In retrospect, what kind of advice would you give to your younger self? 5) You’ve written seven books now. What would you say is the most important thing you’ve learned about writing? I learned how to read really young (when I was 4 to 5 years old), and reading made me love writing as well. The books I wrote about gastronomy, soccer or music, actually are ways for me to feed myself to write about the only thing I really know well: advertising. I feed myself all the time with life, so this way I can put more life in my ad work. That posture that I have since I was really young certainly led me to extremely pleasurable moments in my profession, as most recently the Clio Lifetime Achievement Award I received at October 1st of 2014, and coming next, the Hall of Fame of One Club, that I will receive on January 27th of 2015, in New York.